Additional Info: TV to the main bedroom, both TVs has Free-view. 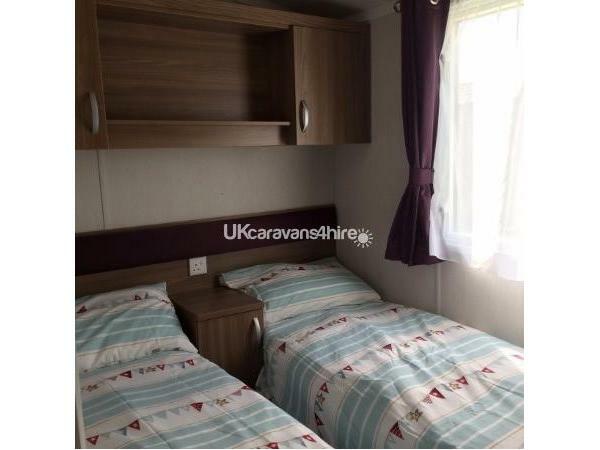 One hundred pounds non refundable deposit securing any booking , full payment made within six weeks before arrival date with an additional one hundred pounds damages deposit which will be refunded seven days after vacating the caravan, depending on any damages caused. 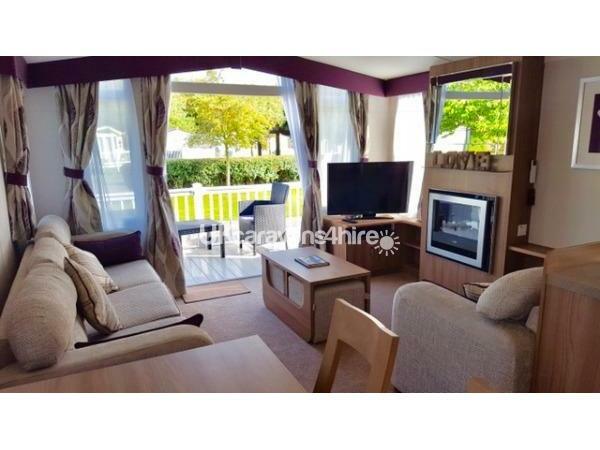 Lovely and modern Swift Bordeaux Exclusive holiday home, which is double glazed and central heated caravan. All bedding supplied and fresh linen will be on beds before guests arrive. Hand towels supplied to bath bathrooms, tea towels, hand soap, washing up liquid, kitchen towel, toilet rolls, tea, coffee, sugar, salt and vinegar. Outside garden furniture, BBQ, veranda with two chairs perfect for enjoying the sunshine. 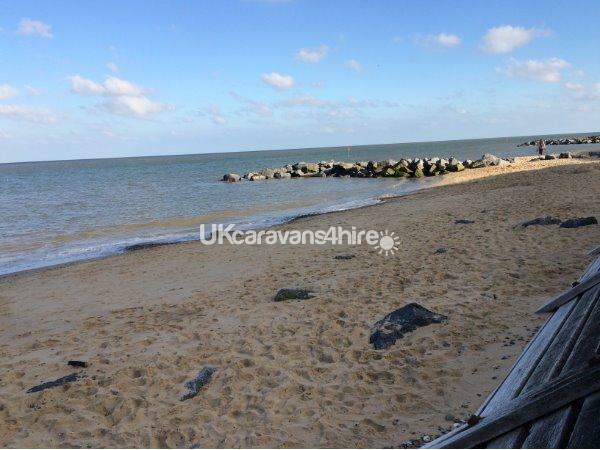 The caravan is situated on the golf village in a peaceful and quiet cul-de-sac location, which is very safe for children and is not near any busy roads. This pitch has plenty of space with own garden area with patio, outside seating and private drive. 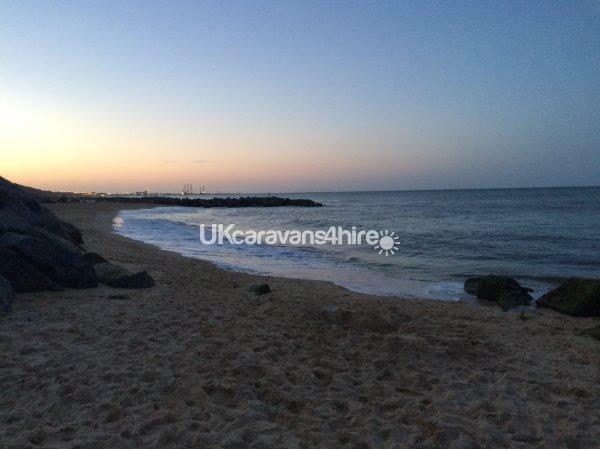 With a five minute walk to the amusements and a ten minute walk to the beach. 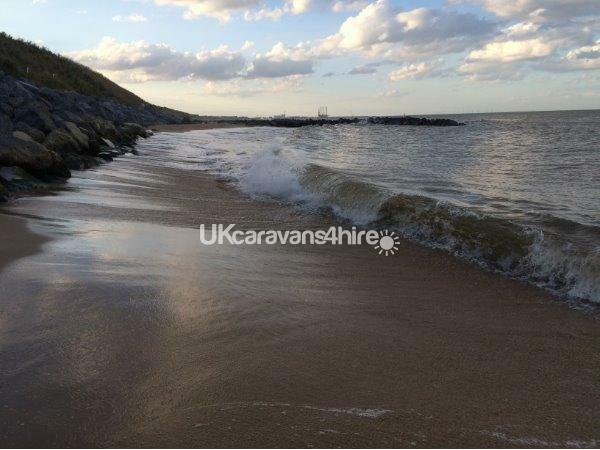 Haven Holiday village is an extremely well presented park with a great range of activities but is also ideally placed for visits to the surrounding area including Great Yarmouth (which is only ten minuets away). 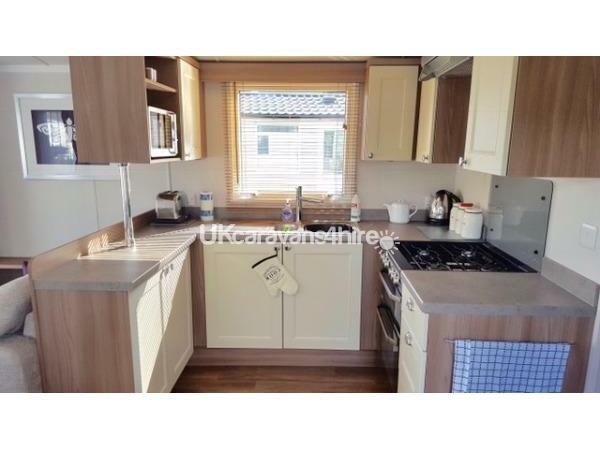 In the kitchen there is plenty of storage space, fitted wall and base units, a gas cooker and fridge freezer. of the hallway you will find two twin bedrooms, one master bedroom with en suite which has a toilet and wash basin. 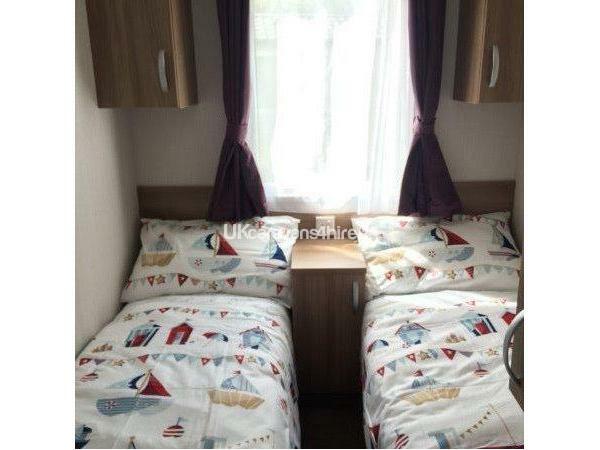 Both twin bedrooms are furnished with single fitted wardrobes, additional cupboards and shelves above the beds and vanity shelves with mirrors. 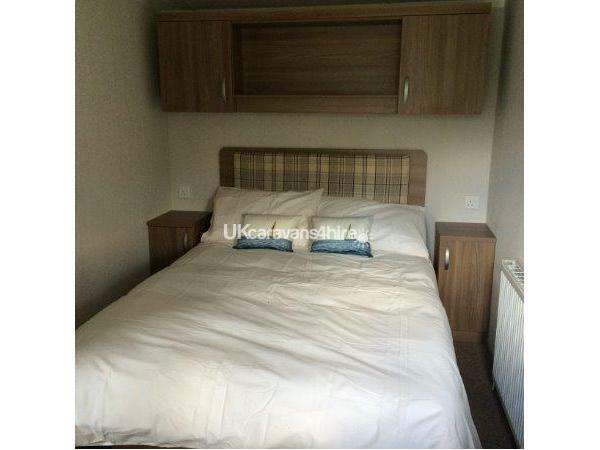 The master bedroom has a large double fitted wardrobe with bed cupboards and shelves, two good sized bedside cabinets and a large vanity area with mirror, also as well as a king size bed the room has a twenty eight inch Freeview TV mounted on the wall. A one hundred pounds non refundable deposit secures any break and you will need to pay the balance six weeks before your arrival date with an additional damage deposit of one hundred pounds which is returnable within seven days after the departure date, depending on any damage. The price of the breaks DOES NOT INCLUDE ENTERTAINMENT PASSES they are purchased direct from Haven Reception either in advanced or when you arrive.